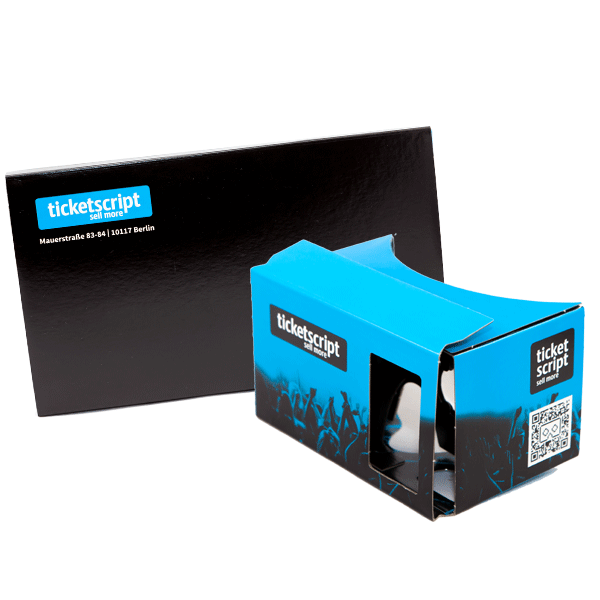 For an European-wide tour “A new digital world for Events” of the self-service ticketing service ticketscript 1200 branded Google Cardboards were send as an invitation to the participants. The keynote of the conference were held by Jan Thiel, Founder and CEO of A4VR from Düsseldorf. 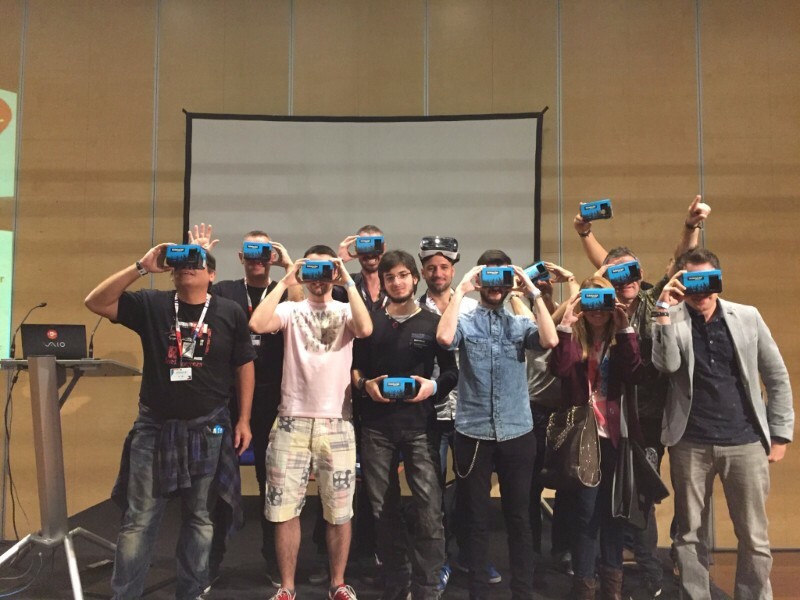 He introduced the participates to the possibilities of Augmented and Virtual Reality for events. We are ticketscript – the European market leaders in digital self-ticketing, ranked #34 in the Deloitte 2014 UK Technology Fast 50. Whether it’s massive dance events, festivals, gigs, outdoor cinemas, fairs, theatre shows, exhibitions, comedy nights, or award ceremonies – we do them all! We believe in empowering our customers. Their success is our success. So far over 125.000 events have worked with us, including brands such as MTV, Tesco Wine Fair and Ministry of Sound – and this is only the beginning. We have offices in London, Amsterdam, Antwerp, Berlin and Barcelona and are rapidly expanding across Europe.